Like most children (I think) when I was a little girl I didn’t really notice how old people looked. Anyone my parents’ age and older were just well, old in my book and how they looked or dressed or presented themselves didn’t bother me. While I always admired my grandmother and knew that she made a big effort to look her best (and she did always look amazing), and I loved that my granddad always wore a suit and tie, those born before 1975 might all have had Klingon features and I wouldn’t have noticed. 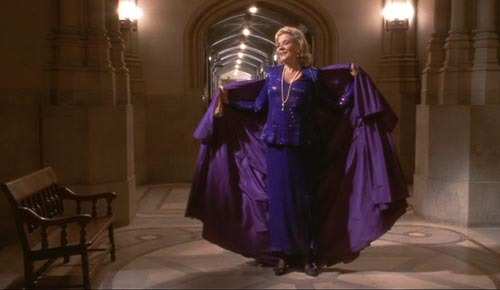 Except in 1996 when I went to see Babs Streisand’s The Mirror Has Two Faces in the local cinema and saw Lauren Bacall for the first time. That seventy-something year old dynamo with killer looks and style is the only thing I remember about that film. What a presence. To out-scene-chew the original diva is no mean feat but the lady the word smouldering was invented for did it easily. 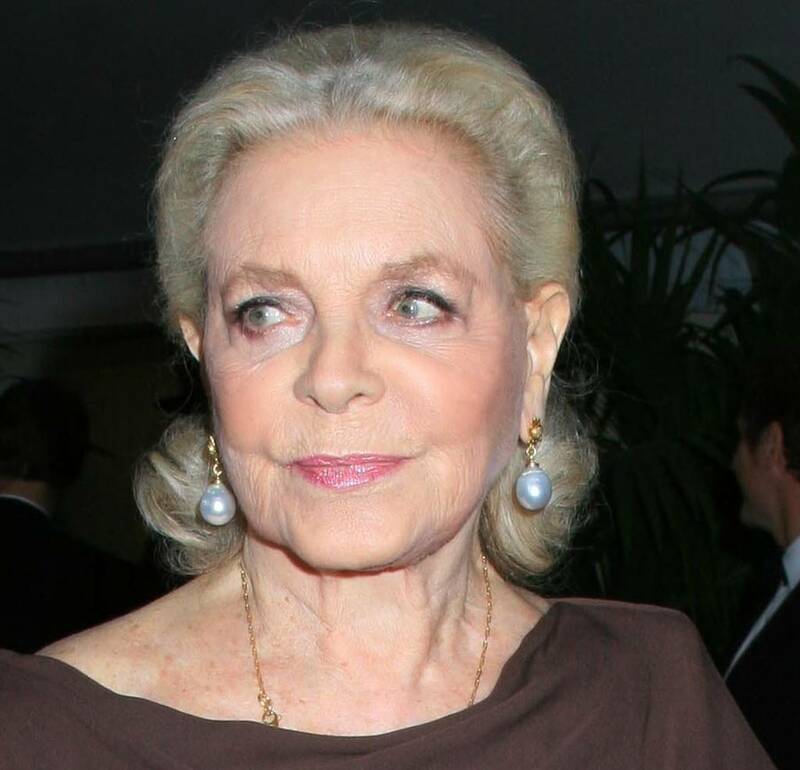 Lauren Bacall died this week at the respectable age of 89. 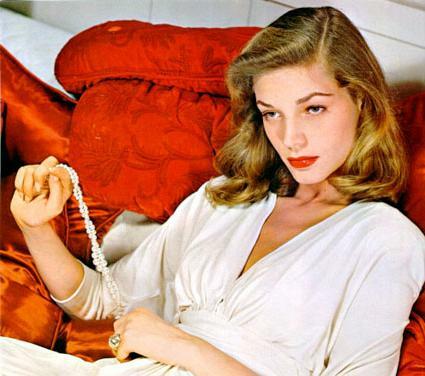 The last icon mentioned in Madonna’s Vogue, who will forever be grouped with fellow members of the golden days of cinema; her friend Katherine Hepburn, Audrey Hepburn, Betty Grable, Marilyn Monroe et al, was a great actress, beauty and bona fide legend. Betty to her friends (her actual name) came to prominence when she starred in To Have and Have Not with future husband Humphrey Bogart at the tender age of 19. Her husky tone, signature ‘look’ (the head tilted down, eyes up which she adopted to help still her nerves) the hounds-tooth suit and that immortal line, “You know how to whistle, don’t you, Steve? You just put your lips together and blow” placed her permanently in the Hollywood constellation. 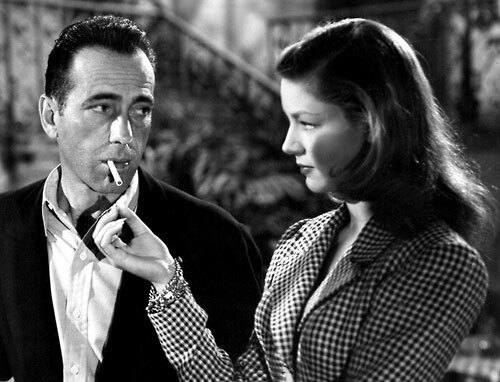 Her romance with Bogart was almost more compelling than the films she appeared in. Almost. Her charisma, allure and sheer star quality ensured that all who crossed paths with her – be it via the silver screen or in person – were captivated. 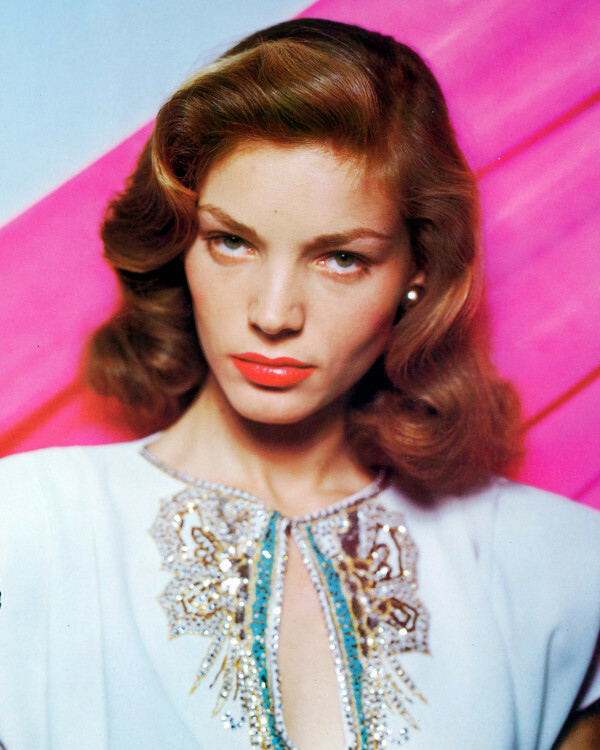 If anyone could perfectly model the style of the 1940s it was Bacall. Even in the midst of war-time, couture was key and boy, could she pull it off. Believe it or not (well, you have to believe it, the evidence is in the pic above!) 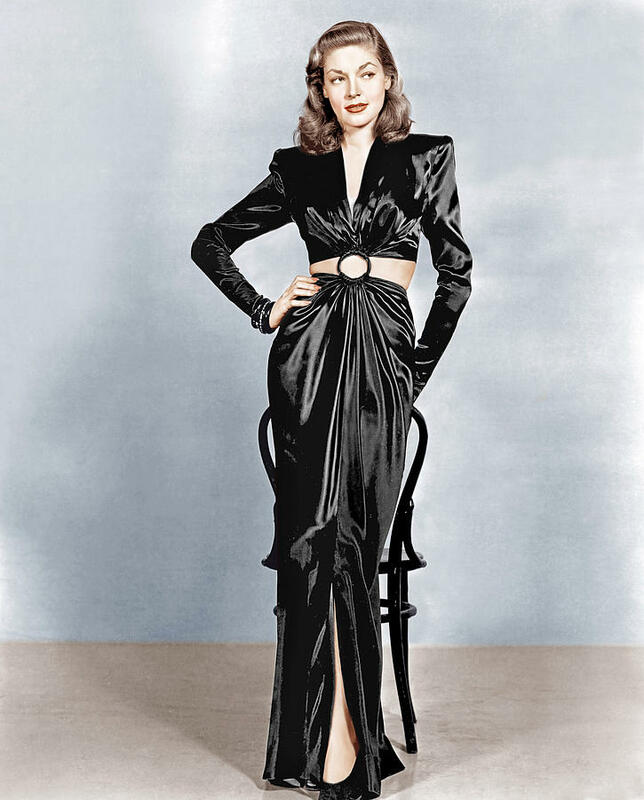 mid-riff baring outfits were popular, not in the Miley Cyrus trash way but in the Bacall way. Anyone thinking of trying this look needs to refer to this era rather than Miley Cyrus of the Wrecking Ball age. 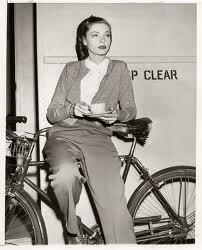 Women were wearing trousers (slacks) for the first time and this beauty was the one to assure ladies that it was ok. How good did she look just casually perched on a bike with a cup of joe? Comfortable, stylish, masculine/feminine, timeless. As she grew older, her style evolved too. She remained however, a woman to aspire to and be inspired by – a true original and genuine talent. The light from an authentic star has been quenched, but like Hepburn, Hepburn, Grable, Monroe et al this legend will not be forgotten.